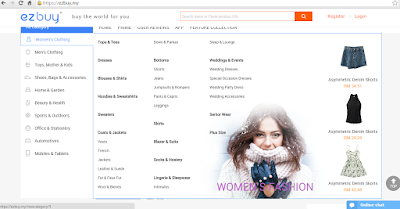 Online shopping has become a popular shopping method ever since the internet has revolutionized the way we shop. Mommy Jane had prefer buying things online over the conventional method of going into stores because of the wider choice, better price, save times and petrol and the most important is, it is indeed convenient. 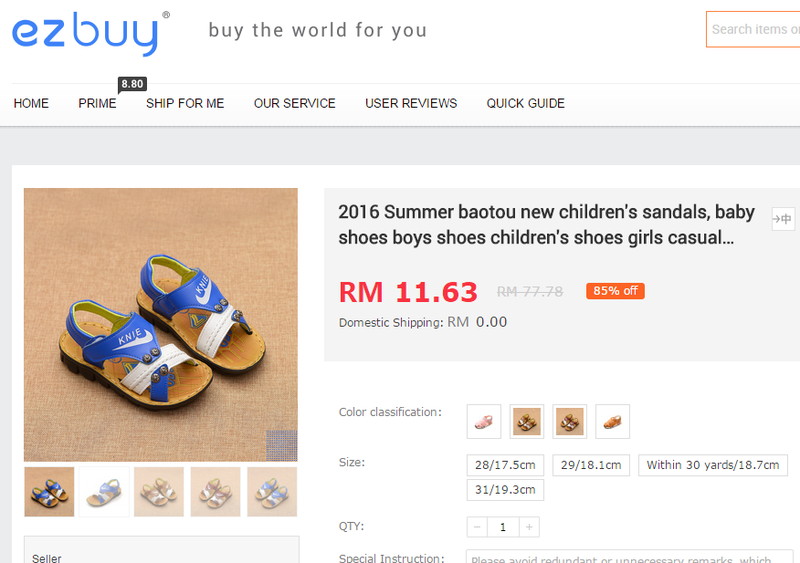 One of the online shopping recommended is Ezbuy. 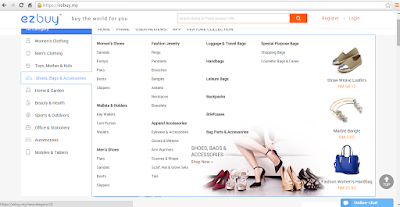 Ezbuy (owned by EZbuy Holdings Limited) is a dedicated provider of professional online shopping services. 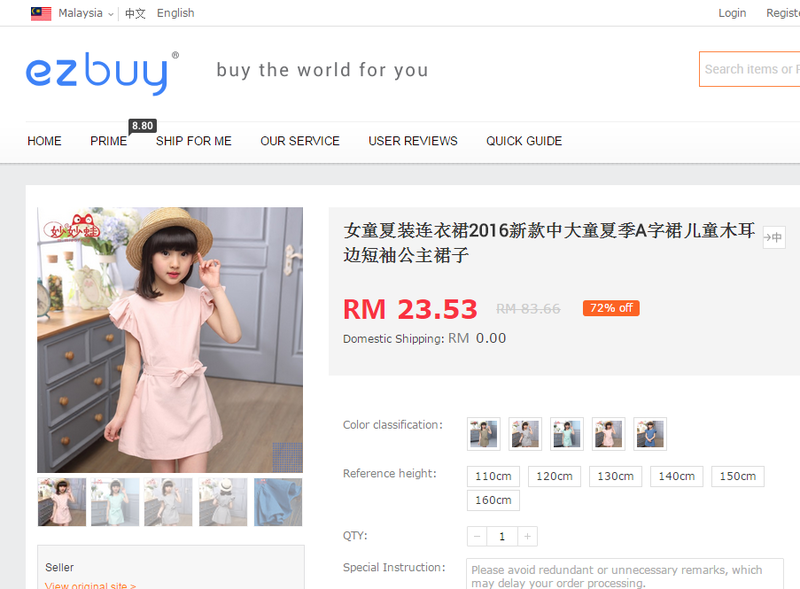 Founded in 2010 by a group of aspiring entrepreneurs, Ezbuy rose to become Singapore's first and largest overseas shopping platform. Introduced by Channel U Money, Channel 8 news, Strait Times and many other national media, 65daigou and its service become more popular and recognised by all the online shoppers. Ezbuy had provide shopping service from China, Taiwan, USA for more than 50,000 Malaysians, 500,000 Singaporeans, Australians and Thai people. Their excellence service while focus on local demands so as to develop new services that better suit their customers. 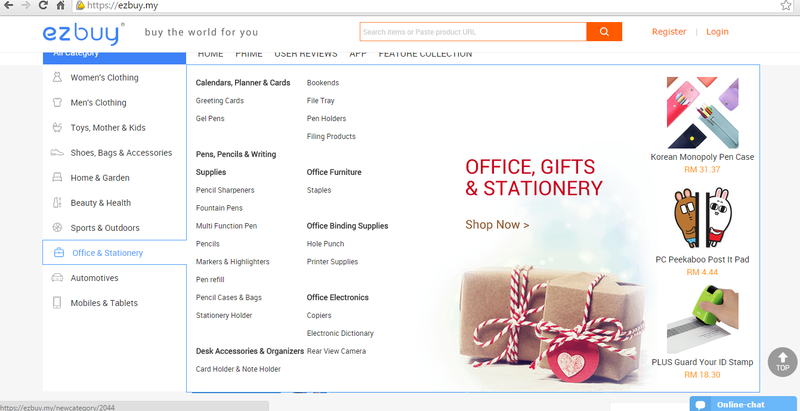 You could enjoy up to 4 times saving and millions of products while shop global products on ezbuy.my. 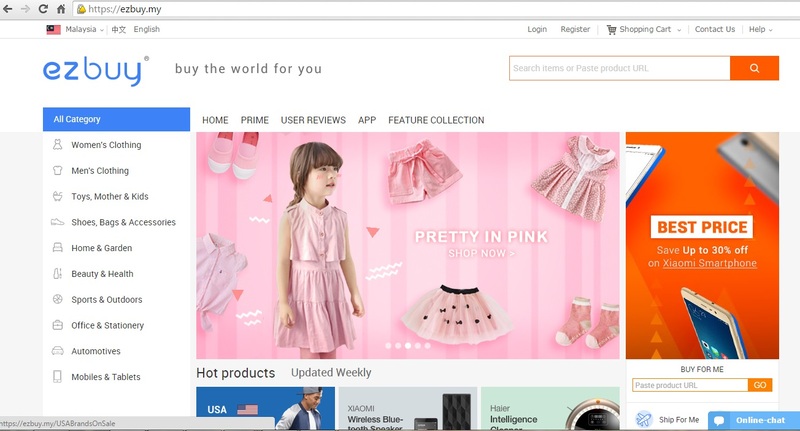 There are trendy and great variety of products all over the world will send to us directly and transform overseas purchase to local shopping experience and be indulged by the choices, convenience and savings that ezbuy.my had offer. 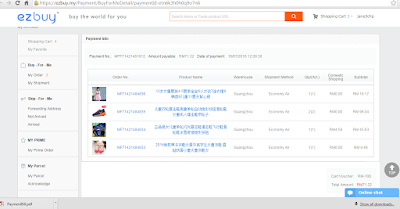 It is very easy to register and buy from Ezbuy. All you need is to register at the link HERE and you'll get RM15 voucher. 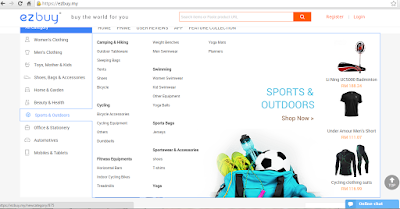 You can use the voucher to buy anythings at Ezbuy. 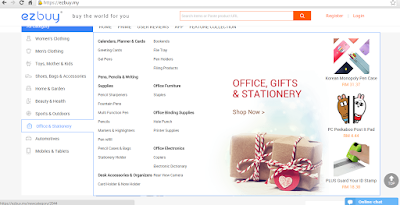 There are variety of items for you to choose from. Just choose for the colour, size and quantity that you want and add into your cart. Once you had finish choosen, view your cart item and if it is correct, check out the shipping fee and which courier service that you had preferred. Add in your RM15 voucher code and then press "Check Out". Key in your delivery address and press "Next". Pay for the total amount and wait for 4-6 working days for the items to deliver to your doorstep. Easy right ? Browsing for my Little Angels clothings and shoes, I found a sweet dress for CW only for the price of RM23.53. The normal price is RM83.66. Which means, I got 72% discount for the pink colour dress. There even have options to choose either pink, blue, white or green colour and CW had choosed the sweet little pink. For WH, I had choose the Excellent Music and Cool Summer 2016 New Kids. A child colar Polo shirts for boys with short sleeve t-shirt. There are 80% discount from the normal price of RM96.73 where I just need to pay RM18.95. Isn't it a great deal. For WJ, I had choose a 2016 Summer baotou new children's sandals at the price of RM11.63 where the normal price is RM77.78. There are 85% discount and don't think I can get so much discounts if I buy it from any online store or any walk-in shops. For myself, I had choose a working blouse. A short sleeve chiffon shirt women summer dress with neck thin coat job. Normal price is RM83.66 and I only need to pay RM25.23 which is 70% discount off. 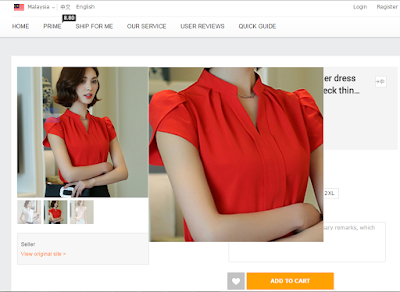 I could also use the cursor to enlarge the view of the blouse. Ezbuy also offering a Prime membership. 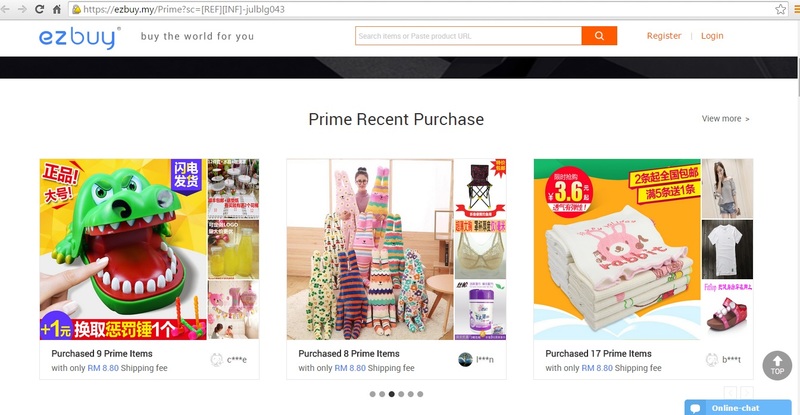 If you have a lot to buy from Taobao & USA and if you want to buy big size items like furniture, then you should purchase the Prime membership for only RM18.80 for a month trial unlimited parcel size and weight. The membership price per year is RM188. 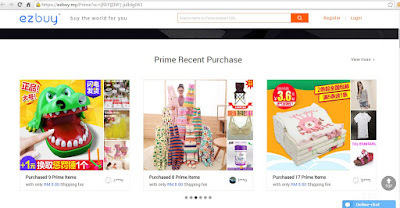 Ezbuy Prime members enjoy RM8.80 unlimited shipping regardless of the items' total quantity, weight or size. the total international shipping fee is RM8.80 nett per checkout for Prime eligible items. There's no limit on how many items you can check out at one time. For the membership, check out the link HERE. You could also use this code "EZJUL15" for 15% off the shipping fee. 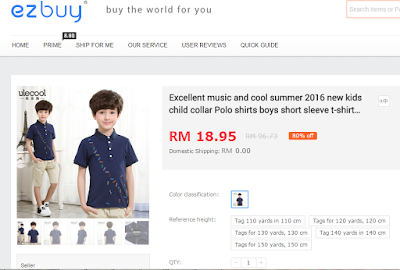 For more information on Ezbuy, do check out their WEBSITE and like their FACEBOOK. 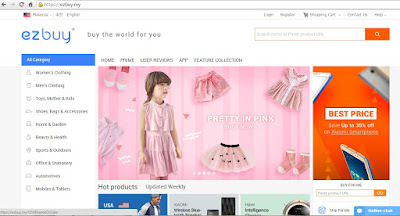 I had bought lots of items at Ezbuy for my Little Angels. From clothings, shoes, toys and educational tools, I found out that the items here are cheaper than those from the store. I was also spoilt by the variety of the designs and choices. It is so convenient that I had save a lot on my times, petrol and parking too. Ezbuy definitely my ultimate choice to purchase online now. wow new online web to shop. 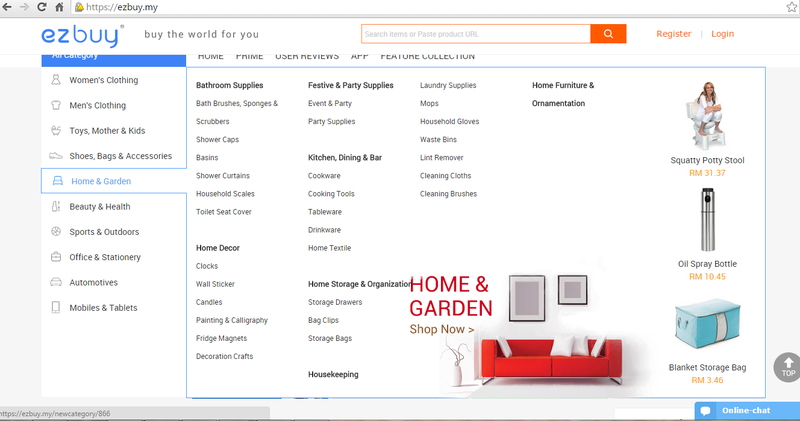 so many things to shop there..
Sherry, we can save more on our family products now with Ezbuy. I bought a lot of stuff via EZbuy too. 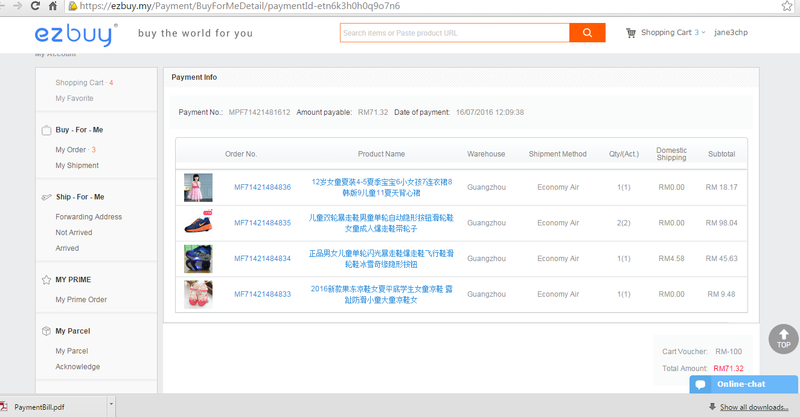 I am so happy that I can finally shop on Taobao. Emily, me too. So many items at promotion price which we can't get it here. Sharon, variety of the items for us to be pampered with. love how technology plays a helping role in our life. now i can shop anytime, anywhere! Geng Qian, agreed with you. It is so convenient to shop nowadays. Will check this out. Looks interesting. Linda, I'm sure you will love this website too coz' save you lots of money. Amelia, register at the link above to get RM15 voucher too. Agree. 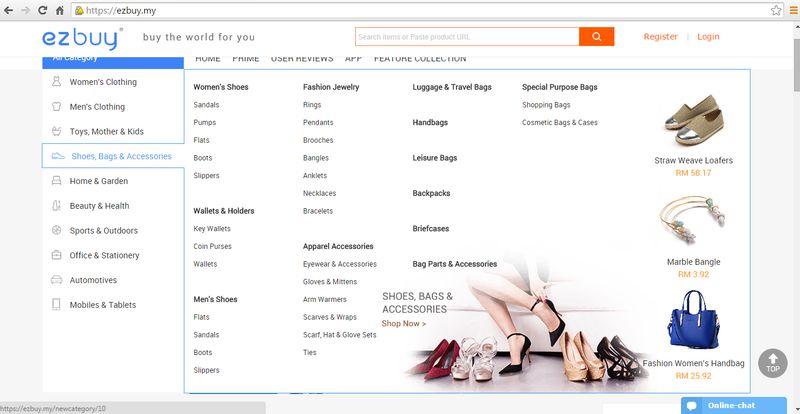 This website provides convenient and affordable way of shopping! Rainbow, suitable for us since we had to spend more on our kids. Ah, so many things we can buy from the site and at such an affordable price too!! Carmen, you'll spoilt with the choices. I recently made a purchase via EZBuy too. I feel so liberated that I could finally buy from Taobao! Emily, great to hear that. I'm sure you love the products there. Joyce, enjoy your purchase online now with Ezbuy. So cool, I have seen this website, but didn't dare to buy cos too many of illegitimate websites around. But now I know it is legit, I can try shopping there.